Providing a tranquil escape from the stresses of everyday life, a place to embrace holistic change and replenish your body’s precious energy. 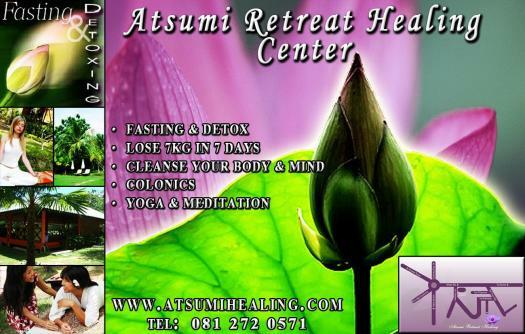 Our retreat provides a selection of well-proven, safe and effective Fasting and Detoxification programs, utilizing high quality natural organic herbs, raw and living foods, cleansing drinks and colon cleansing. During your stay with us enjoy many healthy pursuits including yoga, meditation, tai chi, chigong and relaxing spa treatments.